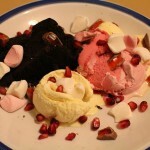 So the rocky road sundae was on my hitlist and I really wanted to topple my sticky date pud. I tried but no matter how much I try, there’s just nothing that will come close to the pud. This had a warm chocolate mud cake – which took me close to bloody 2hrs alone damnit! Next time I think I’ll just buy one for $5 to save the time and trouble. 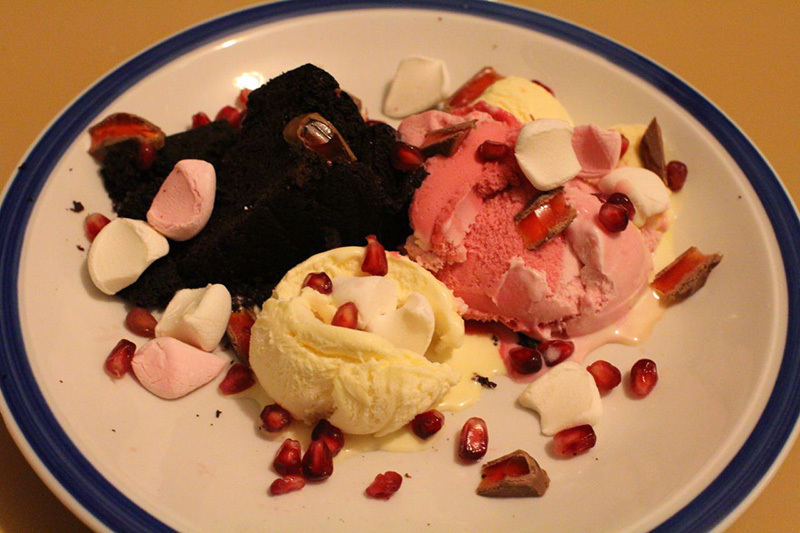 I added some cut up marshmellows, Turkish delight and sprinkled over some pomegrante seeds. I probably shouldn’t have skipped a choc or strawberry sauce. Would I make this again? Probalby not, but if I were, I’d probably add the chocolate lava cake as the river of chocolate ooze would be enough for a sauce.